It is very good to work along with CPA, financial partner and tax attorney or with all three of them in order to avoid any kind of audit risk and to ensure that you are taking the allowed deductions. There are many ways which have been proposed by CPAs (tax experts) to avoid potential IRS tax audit. The CPAs not only help you to avoid a tax audit, but they also provide help you in your discussions with the IRS personnel. 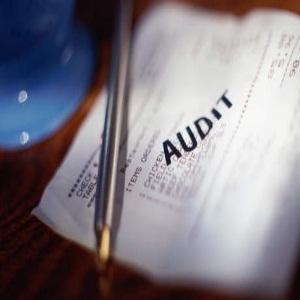 If you are looking forward to avoid tax audit, this article will guide you. First of all, you have to avoid filing your tax returns online (i.e. e-return) because your physical tax returns will be evaluated by the IRS officers while your e-return will be handled by a computer. You have to keep yourself away from the miscellaneous grouping of expenses. If you can explain the kind of deduction which you have made transparently through documentation, it will be best for you. Furthermore, you can also ask your accountant to provide the special form (if needed) so as to claim the deductions. The risk of your tax audit will increase if your expenses are more than half of your income. Therefore, you have to calculate the ratio of your expenses to your income. You have to work with your accountant in order to take all the expenses which you are allowed to make. You must know that a single large amount of any deduction (even if it is less than half of your income) will increase the chances of tax audit. Besides, taking too much deduction against a small income account can also increase the probability of tax audit. Home office deduction is highly unadvisable which you should discuss with the accountant. The tax experts have always emphasised not to include home office deduction as it will increase the chance of tax audit. The small businesses have to stick to the quarterly returns of the state and federal payments. Moreover, the returns have to be filed within the due dates so as to avoid any kind of inconvenience afterwards.